Dave Tolliver made a name for himself as a member of the platinum R&B group Men At Large. The first chapter of a promising career began at age 5. Dave became a member and served as the director of the Buds of Promise Choir at St. Paul AM.E Zion Church in Cleveland, Ohio until age 15. Young Tolliver was encouraged immensely to sing from his heart by his choir directors Mrs. Mary Hampton, and Terrence Jones. Inspired by his uncle Lynn Tolliver (radio legend), Dave began his career as a disc jockey at age 15. For years he rocked Cleveland’s WZAK from side to side and back and forth, consistently holding down the #1 ranking in his time slot. He also served as co-host of the #1 morning show at WJKC Isle 95 in the Virgin Islands where listeners would bow down to the roaring sounds of “King Tollie”. Listeners would also enjoy the quiet riot when they tuned into Mongoose 104.9 Classic Rock radio station. Over the past few years Dave has managed to keep himself busy in and out of the studio; writing, arranging, producing, consulting, imaging and vocal training. Dave also made presence known on his solo debut, “Blaq Pavarotti” as well as having performed in 21 stage plays and 6 movies as principals and extras. 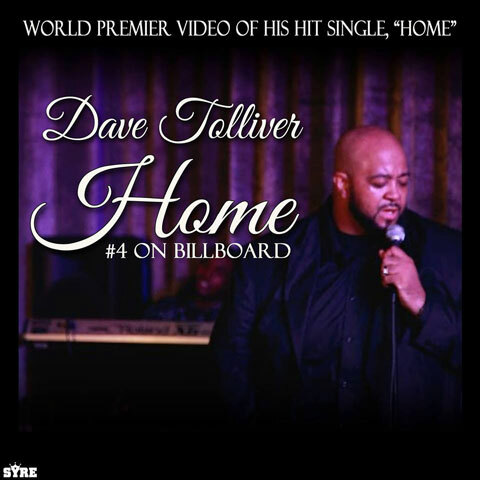 Dave Tolliver is on the Jamsphere playlist with the tracks: “Home” and “I Gotta Know” featuring Trapp Banks.